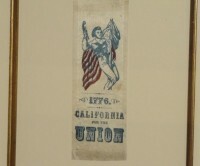 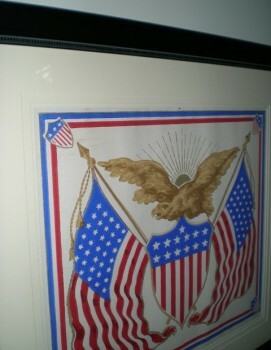 This patriotic wallpaper dates back to the Civil War era. 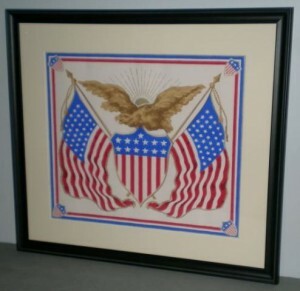 Made from a hand carved wood block print of a Federal Eagle, Federal shield, flags & red white & blue motif. 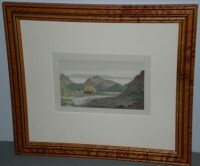 Most likely French made as the French were experts in producing wood block wallpaper prints since the 1400’s A rare find.